Fabric roof folds down in 20 seconds and works at up to 30mph. Very serene with the top down even at higher speeds. 220 d is economical and reasonably refined. Firmer ride than coupe. Small boot. 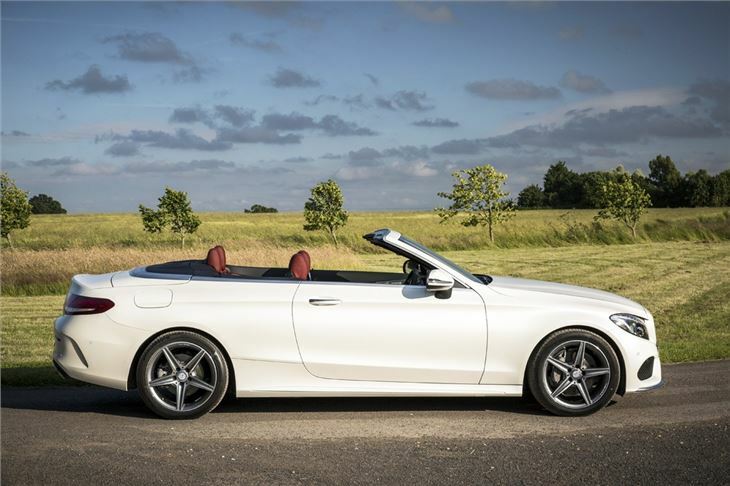 If you want a stylish and slightly-posh-but-not-ridiculously-expensive convertible then chances are you're looking at one of these - a Mercedes-Benz C-Class Cabriolet. While we don't like to get bogged down in talking about styling too much, we really think this is a looker. Of course the others in the same premium price bracket are the BMW 4 Series Convertible and Audi A5 Cabriolet. Like the Audi, the Mercedes-Benz has a fabric hood rather than the metal folding roof of the BMW. The idea being that it saves weight and takes up less space when folded. The roof smoothly folds down in around 20 seconds and usefully, works at speeds up to 30mph. So you can do all your showing off in traffic. 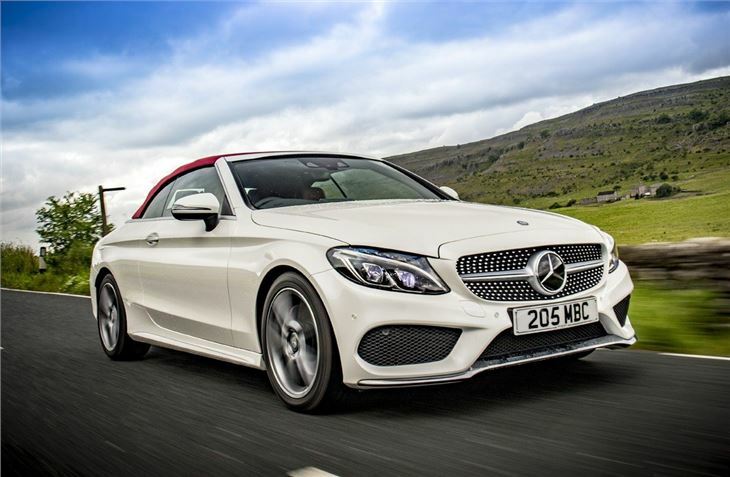 Drop that hood down and the C-Class Cabriolet remains refined on the move with very little wind blowing through the cabin, even at higher speeds. 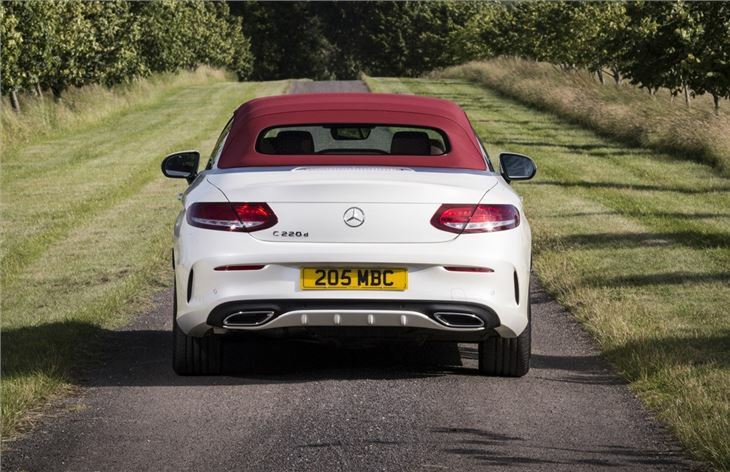 It means you can have the roof down on longer journeys and not have to shout at whoever is next to you. 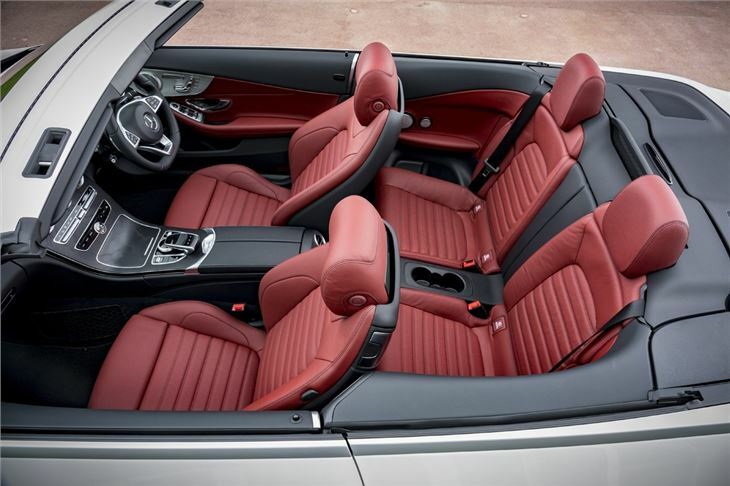 Mercedes-Benz describes it as a 'full four-seat convertible', but while you can get a child seat in the back, it's nothing more than cramped back there. But as a space to throw your bag or coat in, it's pretty handy. 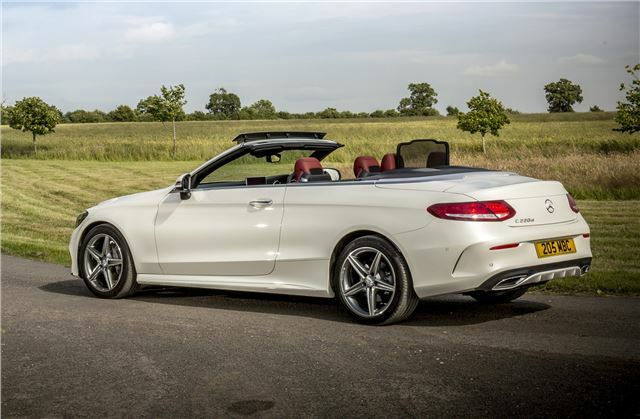 The C-Class Convertible has a noticeably firmer ride than the Coupe, due to the stiffer body, something that's exacerbated on AMG Line models with lower sports suspension and larger wheels. That said, the C-Class Convertible is never uncomfortable, just not especially at home on poor road surfaces. It handles well, thanks to a new steering system that feels more natural than previous Mercedes-Benz efforts and is responsive with a good weight. It's also available with 4Matic four-wheel drive which means extra traction - useful in the winter. The engine line-up starts with the entry-level C 200 petrol but the most popular model is the C 220 d, powered by the same 2.1-litre diesel that's used across the Mercedes-Benz range. It's reasonably quiet, pulls strongly and offers decent economy - according to the official figures at least - with a claimed 60mpg plus. 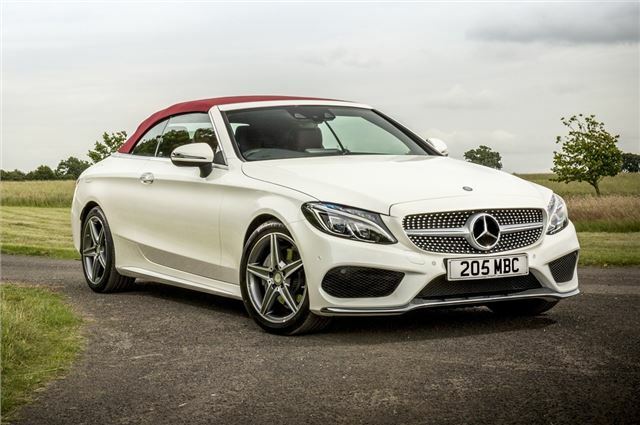 There's very little to choose between the C-Class Cabriolet and the alternatives, all are incredibly good and you'd be happy to own any of them. 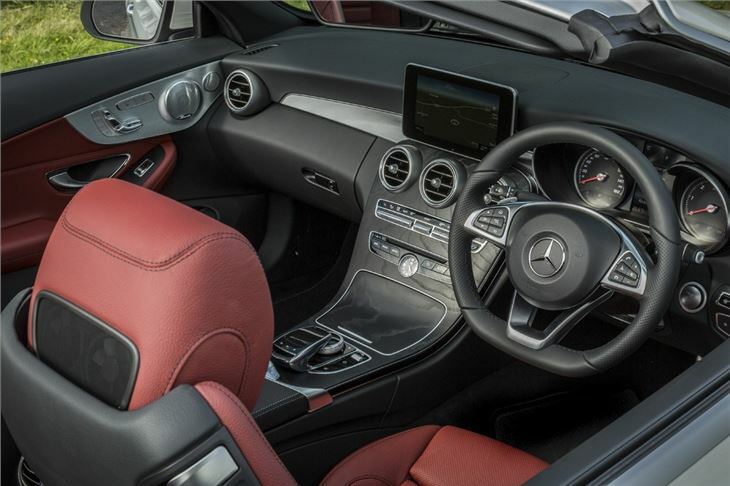 For us, the C-Class just shades it as an all-rounder with a great blend of stylish looks, a quality finish and plenty of enjoyment from behind the wheel.